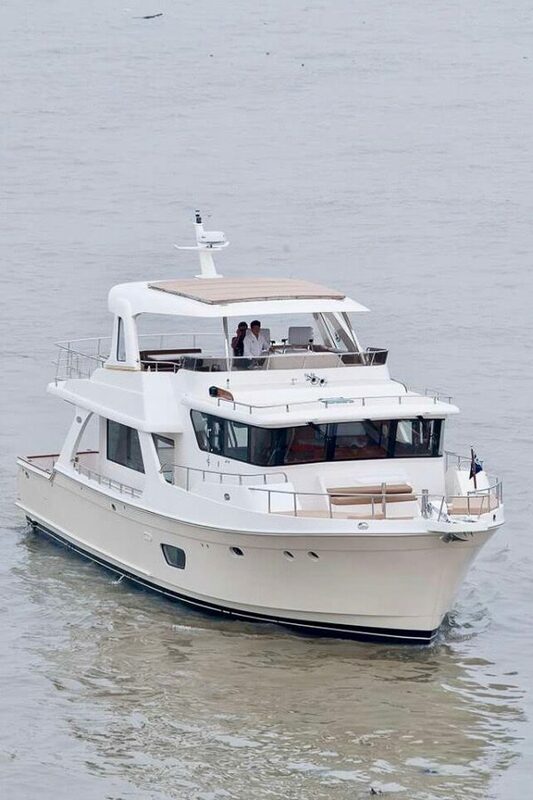 The new Selene 60 Ocean Clipper is the very last iteration of Howard Chen’s talent… A Selene repeat customer was looking for a yacht as beautiful and safe as any Selene, but faster in order to explore the Mediterranean sea, without loosing the ocean-going capability of the Selene Ocean Trawlers. Howard Chen’s design team took up the gauntlet, working with the renowned Dutch designer Guido de Groot, and the new Ocean Clipper semi-displacement line was born! Design by Guido de Groot, the new Selene 59 Ocean Clipper is the very last iteration of Howard Chen’s talent. This ocean trawler is first yacht was launched in November 2017 at the shipyard on the Pearl River, reaching the expected speed of 19 knots with her twin engines.